When you catch your child in a lie, it’s natural to feel betrayed, hurt, angry and frustrated. But here’s the truth: lying is normal. It’s wrong, but it’s normal. In fact, we all do it to some degree. Consider how adults use lies in their daily lives: When we’re stopped for speeding, we often minimize what we’ve done wrong, if not out–and–out lie about it. Why? We’re hoping to get out of something, even if we know better. 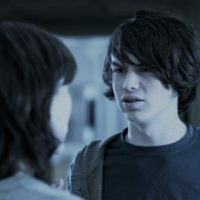 One of the ways kids use lying is to establish an identity and to connect with peers, even if that identity is false. Lying can also be a response to peer pressure. Your child might be lying to his peers about things he says he’s done that he really hasn’t to make him sound more impressive. Sometimes teens use lying to keep parts of their lives separate from their parents. At times it may even seem that they make up small lies about things that don’t even seem terribly important. Another reason children lie is when they perceive the house rules and restrictions to be too tight. So let’s say you have a 16–year–old who isn’t allowed to wear makeup, but all her friends are wearing it. So she wears it outside the house, then lies to you about it. Lying may become a way for her to have you believe she’s following your rules and still do “normal” teen activities. When your child is little and the lies are inconsequential, this behavior may just be his way of getting a little attention. When a small child says, “Mommy, I just saw Santa fly by the window,” I think it is very different from an older child who says, “I finished my homework,” when he really didn’t. Younger children also make up stories during imaginative play, or playing “make believe.” This is not lying but a way for them to engage their imaginations and start to make sense of the world around them. At some point, most people learn how to minimize things in order not to hurt other people’s feelings. Instead of saying, “I love your new shoes,” we might say, “Those shoes are really trendy right now.” But kids don’t have the same sophistication that adults do, so it’s often easier for them to lie. I think as adults, we learn how to say things more carefully; we all know how to minimize hurt. But kids don’t know how to do that. Lying is a first step toward learning how to say something more carefully. In some ways, we teach them how to lie when we say, “Tell Grandma you like the present even if you don’t, because it will hurt her feelings otherwise.” We have a justifiable reason—we don’t want to hurt someone’s feelings who’s gone out of their way for us—but we are still teaching our kids how to bend the truth. Most kids lie at one time or another to get out of trouble. Let’s say they’ve gotten themselves into a jam because they did something they shouldn’t have done. Maybe they broke a rule or they didn’t do something they were supposed to do, like their chores. If they don’t have another way out, rather than suffer the consequences, they lie to avoid getting into trouble. Again, in my opinion, the overall reason why kids lie is because they don’t have another way of dealing with a problem or conflict. In fact, sometimes it’s the only way they know how to solve a problem; it’s almost like a faulty survival skill for kids. I believe it’s really the parent’s job to differentiate the type of lie their child has told, and to make sure that it isn’t connected to unsafe, illegal or risky behavior. This gets to the whole point about picking your battles. If you see your child say to another child, “Oh I really like that dress,” and they later tell you in the car, “I really don’t like that dress,” you might say something to them, but you might also let it go, especially if this is unusual for your child. If they’re lying about something that’s risky or illegal or really unsafe, you definitely have to address it. And if it’s to the point of being really significant—like a lie about risky sexual behavior, drugs, or other harmful activities—you may need to seek some help from a professional. So pick your battles. Decipher what’s really important versus looking at what’s normal. And again, that often depends on the developmental age of your child. A four–year–old is going to make up big whopping stories as a way to be creative and begin to figure out their world. It’s a normal developmental stage. Seven– and eight–year–olds are going to do some of that as well, but they may have more black and white thinking. So they might say, “I hated that lady” when they simply disliked something that person did. I think you can let those kinds of things slide or just gently correct your child. You can say something like, “Do you mean you didn’t like what she did yesterday?” This type of stretching of the truth is really the result of concrete thinking because kids in this age group don’t have good skills to say something else more neutral or tactful. I don’t believe lying in children is a moral issue. I think it’s imperative not to take it personally if your child lies. Most kids don’t lie to hurt their parents; they lie because there’s something else going on. The important part for you as a parent is to address the behavior behind the lie. If you’re taking it personally, you’re probably angry and upset—and not dealing with the more specific information concerning the behavior. Here’s an example. Let’s say your child didn’t do his homework but he told you he did. When you find out that he’s lying, he admits he didn’t do it because he was playing sports with friends after school. If you yell at your child about being betrayed and say, “How dare you lie to me,” that’s all you’re going to be able to address. You’re not going to be able to deal with the real issue of your child needing to do his homework before he plays sports. The bottom line is that your anger and frustration about the lie is not going to help your child change his behavior. So lying is not a moral issue; it’s a problem–solving issue, a lack of skill issue, and an avoiding consequence issue. Often kids know right from wrong—in fact, that’s why they’re lying. They don’t want to get in trouble for what they’ve done and they’re using lying to solve their problems. What that means is that they need better skills, and you can respond as a parent by helping them work on their ability to problem solve. Plan ahead of time: Think about how you’re going to intervene beforehand. Plan it out ahead of time with your spouse; if you’re single, ask another close adult family member to be there with you. When this issue came up with our son, my husband James and I planned out what we were going to say, how we were going to react emotionally, and even where we were going to sit. We decided we were going to be neutral and that we would be as unemotional as possible. We made a decision about what the problem behaviors we wanted to address were. We also decided what the consequences for our son’s behavior would be. We did almost all of this ahead of time. Don’t lecture: When you catch your child lying, remember that lecturing is not going to be helpful. Kids just tune that out. They’ve heard it over and over—and when you start lecturing, the kids are gone. They’re no longer listening and nothing changes. So what you need to do instead is to identify what it is that you’re seeing and what you’re concerned about. Be specific and talk about what’s obvious: When you’re talking with your child, be specific about what you saw and what the problems are. You can state calmly and in a matter of fact way, “If the lying about homework continues, this will be the consequence.” Or “It’s obvious you snuck out last night. There will be a consequence for that behavior.” Remember, it has to be a consequence that you can actually deliver on and are willing to follow through with. Don’t be too complicated in your message: Keep it very focused and simple for your child; concentrate on the behavior. And then tell him that you want to hear what was happening that made him feel he needed to lie. (You are not looking for an excuse for the lie, but rather to identify the problem your child was having that they used lying to solve.) Be direct and specific. The intervention itself would be quick and to–the–point; you don’t want to lecture your child for a long time. This is just ineffective. Keep the door open: Because the lie is most likely a way your child is trying to problem solve, make sure you indicate that you want to hear what’s going on with him. He may not be ready to talk with you about it the first time you raise the subject—and this is where the neutrality on the parent’s part comes in. 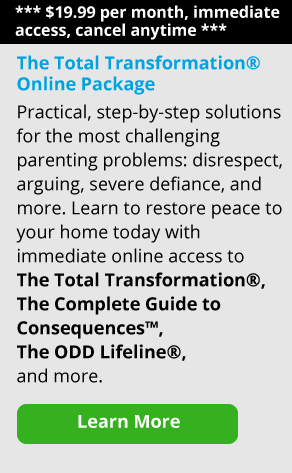 You want to be open to hearing what your child or teen’s problem is. You want to create a safe environment for him to tell you during that intervention or that first conversation. But if your child is not ready, it’s important to keep that door open. Create this environment by being neutral and not attacking him. If you catch your child in a problematic lie, I recommend that you not react in the moment. Instead, send him to his room so you can calm down. Talk with your spouse or a trusted friend or family member and come up with a game plan. Allow yourself time to think about it. Remember, when you respond without thinking, you’re not going to be effective. So give yourself a little time to plan this out. When you do talk, don’t argue with your child about the lie. Just state what you saw, and what is obvious. You may not know the reason behind it, but eventually your child might fill you in on it. Again, simply state the behaviors that you saw. So the conversation would go something like, “I got a call from the neighbor; they saw you sneaking out of your window. You were falling asleep at the kitchen table this morning at breakfast. But you told us that you were home all night.”And you might then say to your teen, “There’s going to be a consequence for that. You’re not going to be able to stay over at your friend’s house next weekend. And we’re concerned about where you went.” Leave the door open for him to tell you what happened. Remember, state what you believe based on the facts you have. Do it without arguing, just say it matter–of–factly. “We have this information, we believe it to be true and these are the consequences.”Keep it very simple and hear what your child has to say, but be really firm in what you believe. Be aware that kids and adolescents are prone to engage in “magical thinking.” This means that when your child gets away with a few lies, he will start thinking he should be able to get away with them the next time. Often that just feeds on itself, and the lies become more and more abundant—and absurd. Your child might convince himself they’re true in order to get out of the trouble. I also think kids often don’t want to believe they’re lying; no one really wants to be a liar. So you’ll see kids who’ve gotten caught smoking at school say, “No, I wasn’t smoking”—even though the smoke is still in the air. And when you’re a kid, you think that if you keep repeating the same thing over and over again, it will be true. But it’s your job as a parent to say as matter–of–factly as possible what you feel is the truth. Acknowledge the lie, but give the consequence for the behavior, not for the lie. Realize that most kids are not going to lie forever and ever. There is a very small percentage of kids who lie chronically. That’s more difficult for parents to deal with, and it requires professional help. In all my years in working with adolescents, there were very, very few kids that I met who lied chronically for no reason. Usually, kids don’t lie arbitrarily; they have a reason for doing so, no matter how faulty that reason might be. Your child really does know right from wrong, but sometimes he overrides the truth. I’m a parent too, and I understand that it’s hard not to take that personally or be disappointed. But just remember, your child is trying to solve a problem in an ineffective way. Our job is to teach them how to face their problems head on, and to coach them through these confusing years. Over time, I believe they will learn to do that without lying.